September Favorites + Contest (Jord Wooden Watch)!! Are you as excited about this time of year as I am? I just LOVE going to the Farmer’s Market and seeing all the amazing seasonal fruits and veggies available this time of year and not to mention all the PUMPKINS! In my latest video I’ll take you along with me to pick up some of my current favorite things and I’m definitely shopping in style because I just got an amazing new wooden watch! 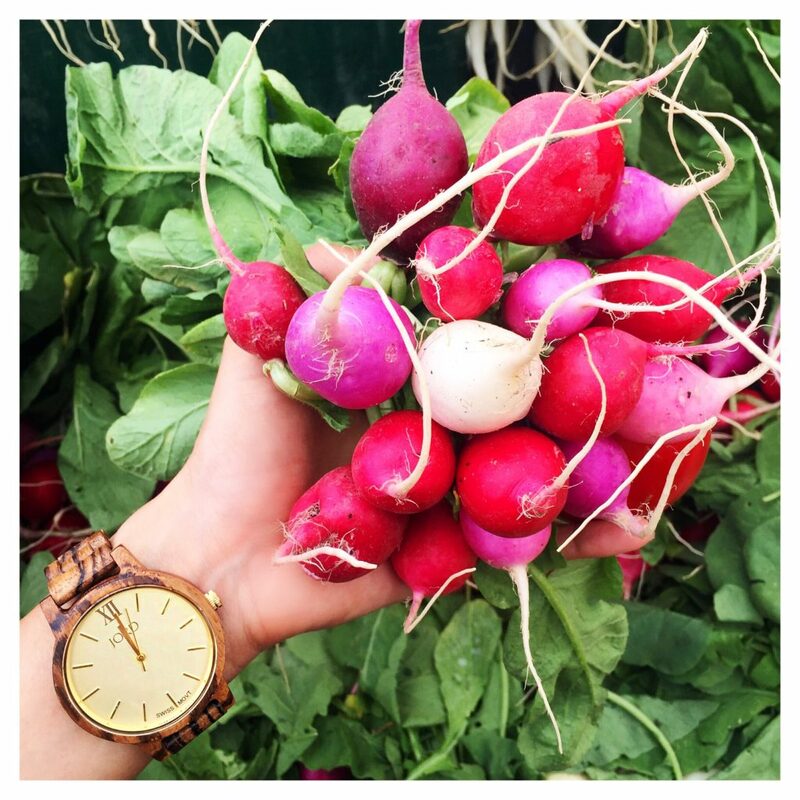 Yes, a watch made of the most beautiful wood with a large champagne face with gold detail. Did I mention I love it? Well I do, and I know you will too that’s why I’m giving you an opportunity to win cash towards one of these babies. All you have to do is enter your info into the link below and you will automatically be given a coupon for $20 off and then ONE of you will win the grand prize of a $75 off coupon towards your favorite watch! You know this will come in handy during the holidays too! Now back to this gorgeous watch…I’ll be honest, I don’t normally wear watches, mainly because I hadn’t found one that I really liked. When Jord approached me about picking out a watch I was intrigued because of how unique and earthy they are. They are made of different types of wood which gives them a natural appeal but they are also super stylish and classy. I really feel these watches dress up an everyday outfit while still feeling simple and casual with a bit of an edge. I chose the Zebrawood & Champagne model with the large face from the Frankie Series. I love how neutral the colors are and how they compliment my skin tone. I also really love how the large face sits on my wrist which is quite small…what do you think?? 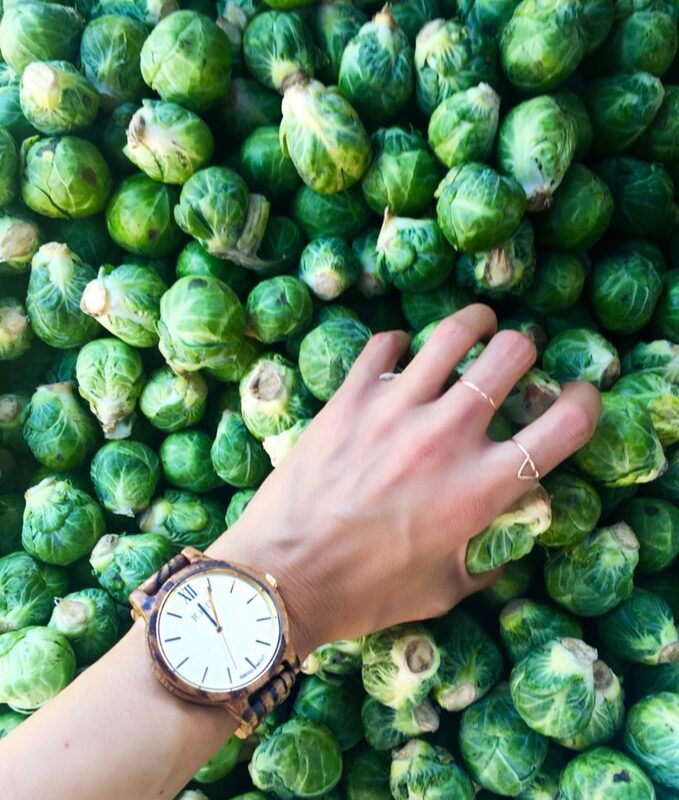 Thank you #JordWatch for the beautiful wooden watch and for this contest! Fruit/veggies: Passionfruit, Dragon Fruit, pumpkins, butternut squash, bananas, canned organic pumpkin.